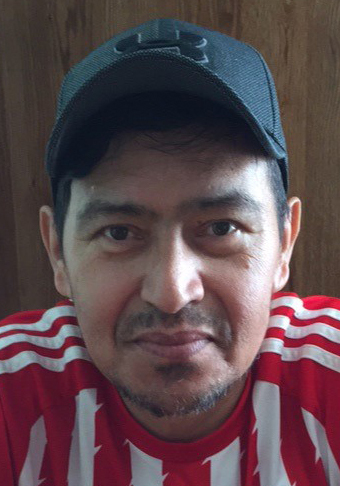 Obituary for Jesus Castaneda Santos | Esterdahl Mortuary and Crematory, Ltd.
Jesus Castaneda Santos, 48, of Soap Lake, WA, died Thursday, November 1, 2018, in WA. Funeral services will be held at 10 a.m., Friday, November 9, 2018, at Esterdahl Mortuary & Crematory, Ltd. Visitation will be from 4-7 p.m., Thursday, at the funeral home. Burial will be at Moline Memorial Park. Memorials may be made to the family. All need to use 60th Street for access to the funeral home. Jesus was born on June 4, 1970, in Fresnillo Zacatecas, Mexico, the son of Francisco and Ma Auxilio (Santos) Castaneda. He married Alma Delia Cardenas Robles. Jesus enjoyed riding horse and playing football and soccer. Survivors include his wife, Alma; children, Raymundo, Fernando, Jesus, Jr., and Joselin Castaneda; parents, Francisco and Maria; sibling, Guadalupe, Rita, Lorenza, Salvador, Yolanda, Saul, Estulia, and Soledad.